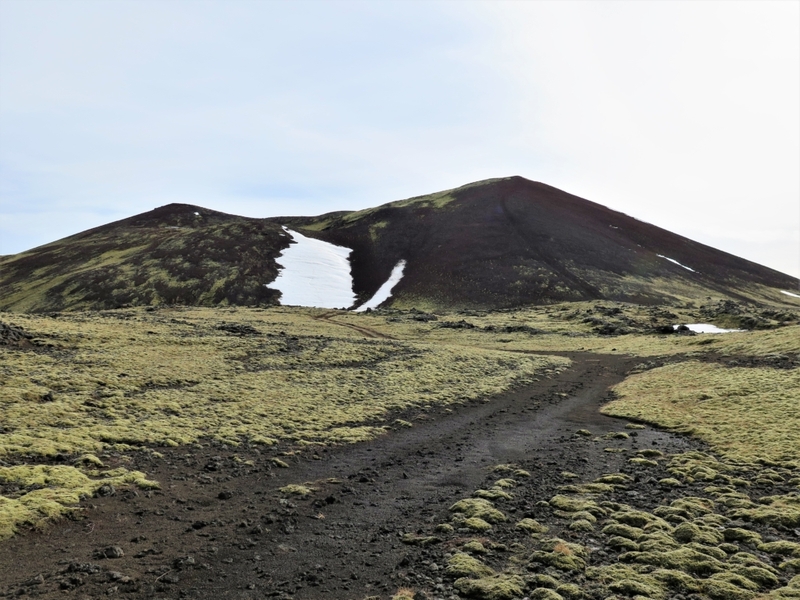 One of the Wapp trails in Snæfellsnes peninsula is on top of a small crater in Berserkjahraun lava. Mt. 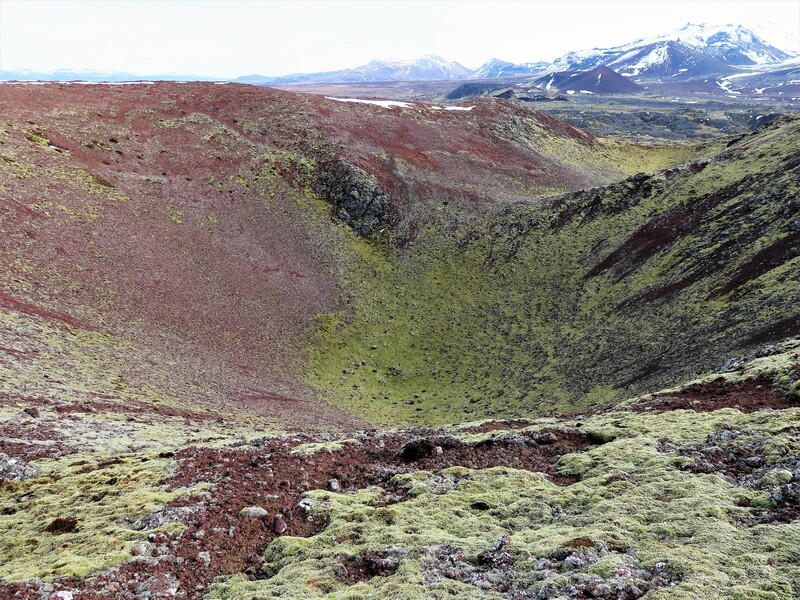 Kothraunskúla is a spatter cone which erupted around 4000 years ago, one of four craters which Berserkjahraun lava flowed from. Although Mt. 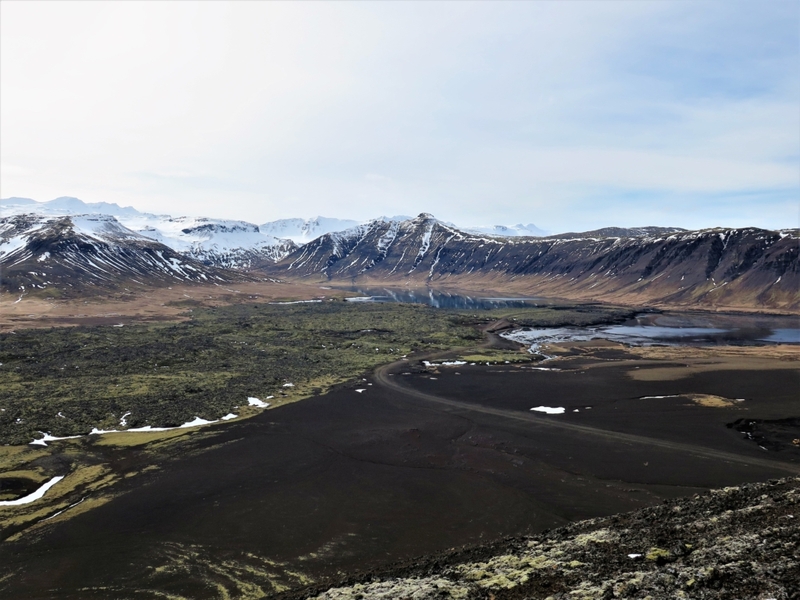 Kothraunskúla is not the highest mountain in the area, it has a beautiful view over the lava and towards Hraunsfjörður, the surrounding mountains and out on Breiðafjöður. This hike is relatively short and quite easy but the gravel can cause difficulties for some people. Take care to follow the trodden paths, don´t make new ones, and protect the moss. The next farm to Mt. Kothraunskúla was Kothraun. The last inhabitants were Kristjana Guðmundsdóttir and her husband Halldór Pétursson. Halldór died in 1921 and the following winter the farmhouse was knocked down in a great southwesterly storm. This happened in the middle of the night in February. The widow and her children sought shelter in Bjarnarhöfn and were warmly received. The farmhouse in Kothraun was not rebuilt and thus ended the inhabitation of the small farm which nestled between Mt. 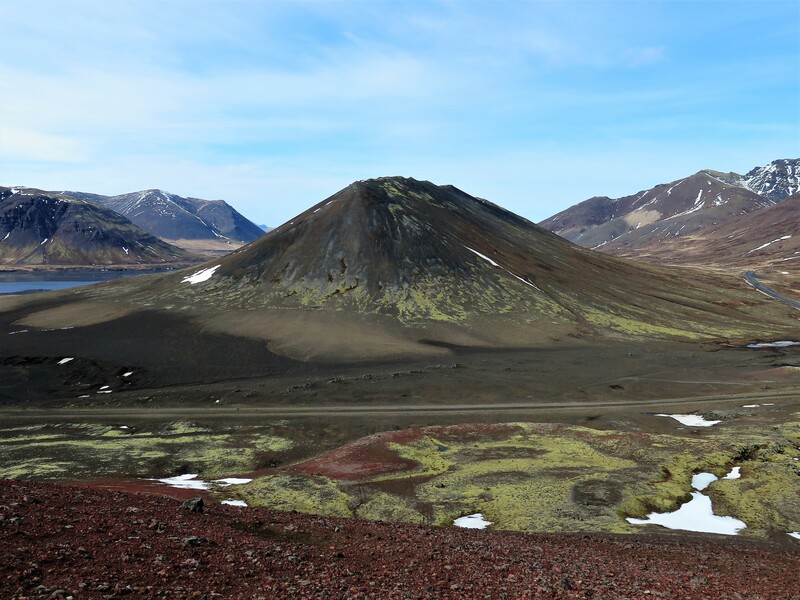 Bjarnarhafnarfjall and Berserkjahraun lava.